QUESTION: I currently live in England & wanted to find out about the scheme whereby Jamaicans living overseas can now make NHT contributions. If so, how can I go about doing this & how much would I need to contribute before I can apply for a loan? Thanks for your question regarding making contributions to the National Housing Trust. We would welcome the opportunity to assist our fellow Jamaicans living abroad to get a home benefit though the NHT to purchase a home or build on land back home. In order to answer the question better, we need to determine if ever contributed to the NHT before, and if you did, you'll need to provide your NIS number in order that further checks can be conducted. The monthly contributions is 3% of your monthly income and can be paid to us via standing orders, international money order or by having your local agent make payments to the account on your behalf. Interested persons may apply to the NHT for further information. 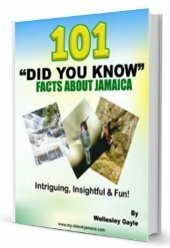 There are documents which will be needed and these can be emailled for you to download, filled up, stamped by a Notary Public (or the Jamaican Consulate) and returned to us via mail. (It is recommended that you should have an agent in Jamaica visit our office and open the account on your behalf. You can then send the package to the agent with an introductory letter, duly signed by a notary public. Additional Information: By way of this, I am copying the Compliance Manager, Mr. Donovan Evans. Please feel free to make further contact, copying him, for any further details you may need. Back to National Housing Trust Main Page from National Housing Trust Jamaica -Contributions from abroad for NHT Benefits. I am living in America since 2006. How do I go about paying from 2006 to now. Hi were online do I sign up to pay with my credit card. Hi im living in the uk but i stop paying my NHT contribution from 2000 and i can't remember my national insurance number so wat must do so i can benifit to buy a house. I am living in the UK and would like to continue make my contributions on line or by standing order instead of using a 3rd party person so how do I go about doing so? I am living in the UK but would like to continue making my contributions on line or by standing order instead of having a 3rdparty person doing it for me so how do I go about doing it ? Please I am awaiting your prompt respond as my next contribution is due by the 19/11/14. What percentage of your contribution is refundable ,and how often is it refunded ? Is the Trust designed and geared towards low income individuals,if so ,what are the chances of individuals in a higher tax bracket?